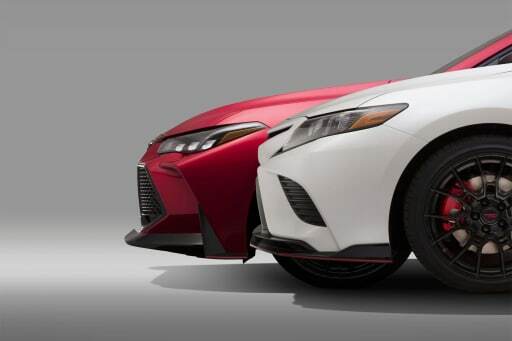 Next Up for Toyota's Racy TRD Treatment Are the ... Avalon and Camry? in case you missed it while you were following the latest tweets from the white house, toyota took to twitter to reveal that it will show tricked-up toyota racing development versions of its camry and (yes!) the avalon later this month at the 2018 los angeles auto show. toyota has been trying to inject some fun into its lineup, and apparently that means even its sedate avalon is in line for a trd treatment. while trd is more associated with performance versions of its trucks, toyota did already create a trd special edition of its 2019 86 sports coupe. other examples of a livelier toyota include the new warm — if not quite hot — hatchback that wears a corolla badge but boasts a more interesting interior and exterior design, and a smooth-shifting stick shift (it would have been my guess for a trd edition before the avalon). and coming in january will be the reveal of the production model of the much-anticipated new supra coupe that goes on sale in 2019.
if the sedans follow the example of the 86 coupe, the trd versions will get appearance packages and chassis upgrades but make do with existing power. the teaser shows only the front ends of the camry and avalon but reveals that they have blacked-out grilles, aggressive front bumpers and black wheels with red-painted brake calipers. expect the black trim to extend to a more aggressive rear bumper and perhaps a rear spoiler, mirror caps and lower-side aero. the 86 also added a firmer suspension, upgraded brakes, bigger wheels with summer tires and a throatier trd exhaust. some or all of these could also make their way to the sedans, though i'm having a little trouble picturing these aggressive upgrades on an avalon - not to mention the average avalon buyer driving one. a 301-horsepower, 3.5-liter v-6 is standard in the avalon and optional for the camry (standard for the trd? ), which should provide enough power to take advantage of any chassis upgrades; a trd exhaust system might even boost the output a little.